There are so many things to discuss about Cider Con 2014, but I want to start off by talking about tasting. It makes me think of the movie Playing by Heart from the nineties that started off with a character saying “Talking about music is like dancing about architecture”. It’s so hard to talk about tastes and smells – trying to translate a sensory experience into words. Of all the senses, smell and taste are so intimately linked with memory that talking about them is like translating a whole language of memories, each one intimately connected to other memories. And personal memories are just the beginning of talking about whole cultural vocabularies of taste and smell. I remember tasting cider at the Barrels Pub in Hereford with the Three Counties Cider and Perry Association, and as we were describing the grassy scent of freshly cut hay, I wondered, how can anyone who has never stood in a hayfield, looking at all the wildflowers, and the birds, and smelling the earthy musty smell of dirt, have any idea what to call that aroma trapped inside a glass of cider? So how do we come up with a vocabulary for taste and smell? 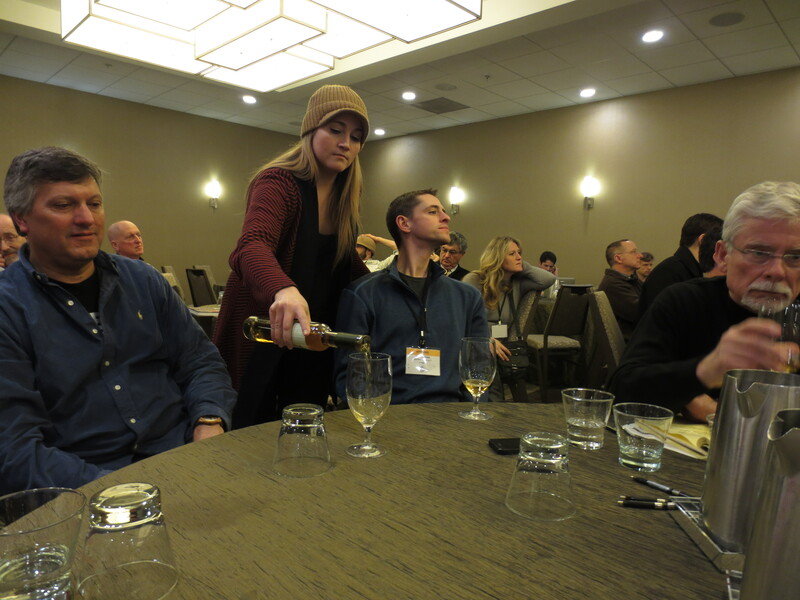 The Sensory Analysis Workshop on Wednesday at Cider Con is one method of establishing some common sensory terms, while simultaneously linking them to the underlying chemistry of fermentation. By starting with a reference cider and doctoring samples with various chemical additives that represent possible outcomes of fermentation chemistry, we were able to compare this with the reference cider to identify certain scents and tastes that might occur as a result of production processes. These included diacetyl, the compound responsible for buttery flavours, which results from malolactic fermentations, as well as sulphurs, phenolics, and acids. Charles and Gary, who led the workshop, told me that they developed it as a way to train judges for the Great Lakes Cider Association competition, so that they would have a common understanding of how to evaluate ciders for off-flavours and faults. When I experienced this workshop last year, I was really confounded by it. My days of tasting small batch barrels in the barn to determine a good blend had never included discussions of phenolics. Nor had my experience ever included complex chemical approaches to fermentation. So this sensory analysis approach kind of floored me last year. This year, however, I found it a really interesting tool. This kind of tasting vocabulary helps create a specific kind of palette – one that understands the chemistry of fermentation. It does not speak about apple varieties, or terroirs, or cultures of cider, or personal memories. It should be understood in that light. Palettes and vocabularies of taste are created in many different ways, and it is interesting that the American palette, at least in this specific instance, is being informed around a vocabulary of fermentation chemistry. (See the end of this post for a rundown of the sensory analysis workshop in detail). The whole conference, however, was a multitude of tasting opportunities. 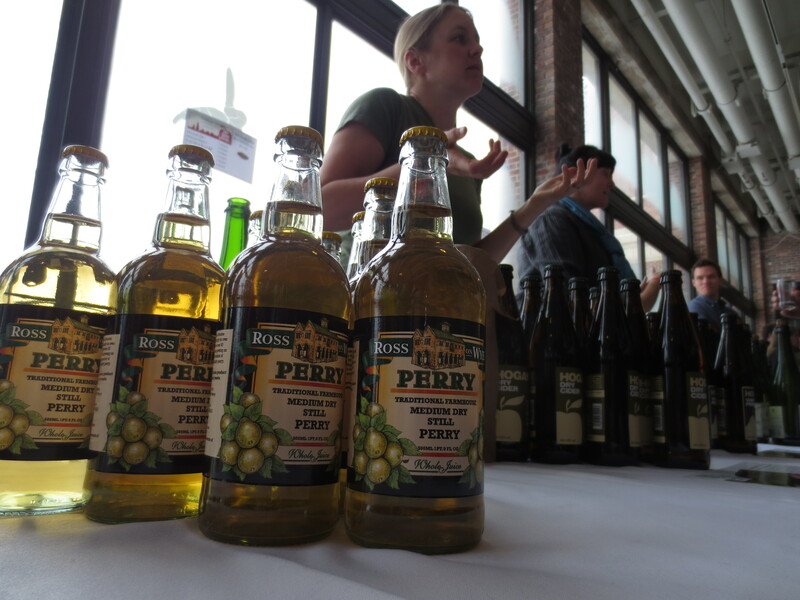 In between sessions, tables in the lobby would fill up as individual cider makers brought out bottles of their products to share with professional contacts and passers by. Sessions on ice cider, mixology, and cheese pairing provided opportunities for guided tasting and creative uses of products. And of course, as we spilled out into the bars and restaurants of Chicago, the tasting went on. I ended up in a hotel room with a handful of folks sampling Spanish ciders imported by Ciders of Spain. I tasted some ciders from several west coast cider makers that were made using fruit flavour additives that were a little too strong for my taste, but were interesting experiments in a diversifying marketplace. 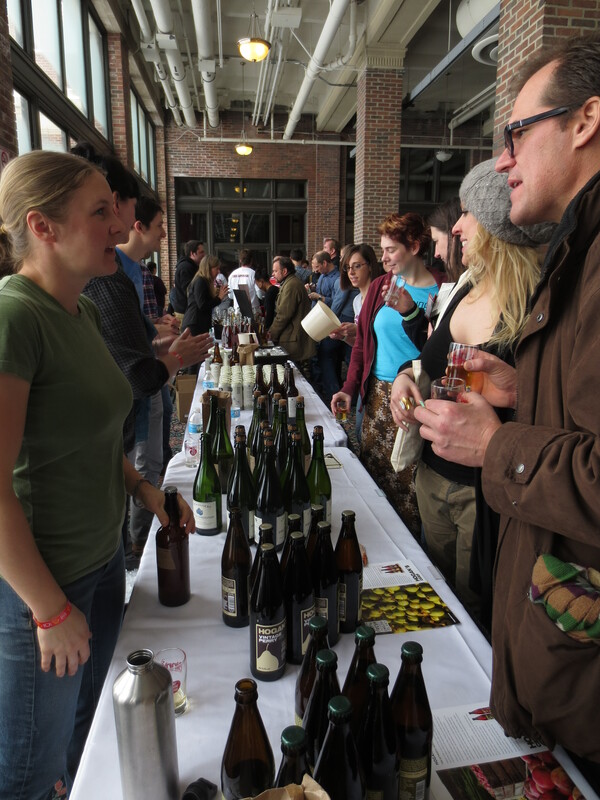 And the giant Cider Summit Chicago on Saturday was an exercise in stamina as the crowds and noise assaulted your other senses. Since I was pouring at the event rather than tasting, I found many customers weren’t sure what they wanted, or what kind of tastes were available. They were floundering from vendor to vendor, trying to identify what tastes were available, and what appealed to them. It made me realize that among the many factors in trying to create an identity for cider in the United States, is the need to create a vocabulary of taste that consumers can understand and relate to. I doubt this will be a vocabulary of fermentation chemistry. Nor have I heard a vocabulary of apple varieties bubbling to the surface. It is, in a way, a golden opportunity for marketing directors to work some creative magic in a relative void of terminology. The time is right to ask, how will Americans talk about the tastes of cider? Finally, on the way home, I stopped in to see an old friend who had asked if I could give my opinion on his first batch of cider. A home-brewer, he had decided to try a batch of cider, and purchased the juice from Great Fermentations in Indianapolis. I, in turn, brought a bottle of Ross on Wye cider for him to taste. For a first try, his ciders were really nice – clean, fruity, light, bottle fermented. Just a hint of yeasty aroma on the nose was a little overpowering. Tasting Ross on Wye next to it, with its complex tannins, was a really great comparison between the results of a quick fermentation of eating apples and a long slow fermentation of cider apples. Both are great in their own way, and sitting at his kitchen table talking about taste at the end of my week at Cider Con brought into focus the variety and nuance of flavours, texture, and aromas we have to work with in cider, and the dynamic ways we can imagine to talk about taste. Here are my notes from the Sensory Analysis Workshop. The sample is given, followed by the sensory reactions of the audience. Bulleted underneath are the chemical additives and explanations of the effects they have on the cider. Reference Cider – ‘New World Cider’ by Gary Awdey, dessert and culinary blend. ½% spike in sugar (sucrose) – sugar contributes viscosity and body. ethyl acetate – < 50ppm indistinctly fruity, may be a positive attribute; 50-150ppm slightly sour, solventy; >150 ppm harsh sour, reminiscent of nail polish remover. A component of vinegar. Usual in small amounts. Especially in young cider or Spanish cider. Often seen in wild fermentations. 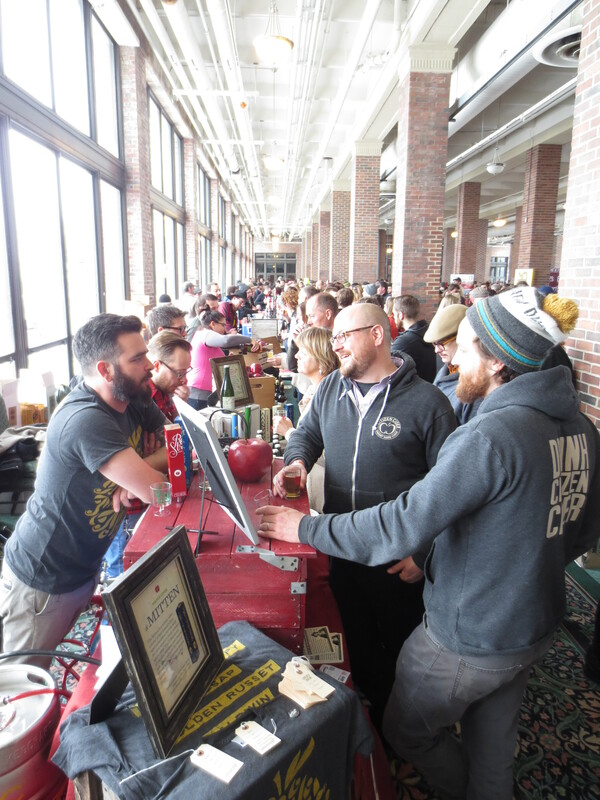 This entry was posted in Cider Con, Events, North America, Tasting. Bookmark the permalink. Interesting read with my breakfast cereal. I am sure you are correct. More universally recognizable and standard terms for describing taste would help launch cider to the masses – but it would be a shame to lose all those descriptions like, band aid, socks and burnt tyres!